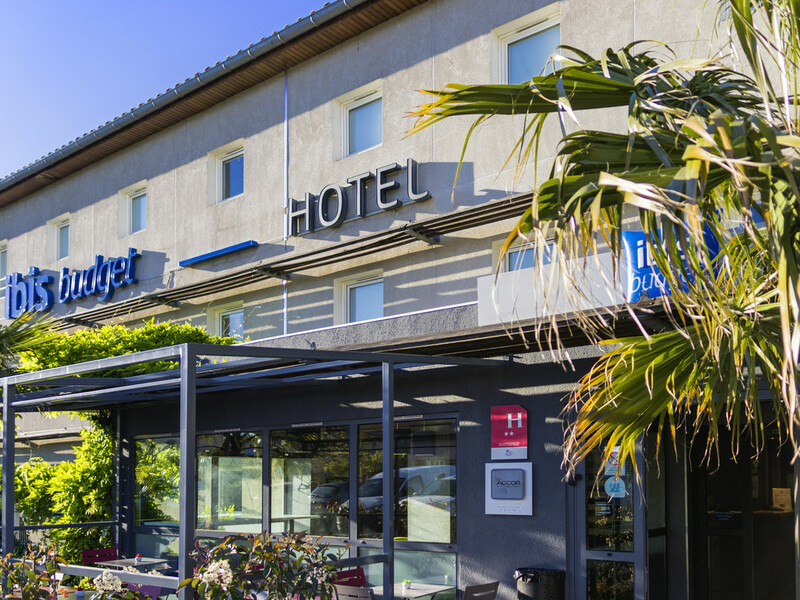 Choose the ibis budget Carcassonne La Cité hotel, add a full breakfast, a dollop of the medieval city and a sprinkling of Cathar legends, season with a traditional cassoulet and top it all off with a cheerful atmosphere and exciting plans. Welcome! Dreaming of a romantic weekend along the Canal du Midi? A family day storming the medieval city of Carcassonne? Or a little rest between two days of work? All this is possible under one roof at the ibis budget Carcassonne La Cité hotel. A stone's throw fr om the castle ramparts, what better way to spend a break and soak up the atmosphere of the Occitania region? Modern, renovated rooms and a trilingual reception team who will give you advice and helpful tips for visiting Carcassonne and its region! Shockingly bad external appearance when parking in the rear car park. But otherwise okay. A great budget hotel. Extremely clean with a friendly, attentive staff. The breakfast buffet was limited but satisfactory. Easy on/easy off motorway access as well as being very accessible to tourist sites. An excellent stay. Very helpful staff were able to answer any questions we had during our stay. It might be best to sleep in the floor. The rest, was good. The first impression when we arrive at the room the environment wasn't pleasant. There were an strong an awful smell. Maybe from a cleaning producto or similar. The walls of the room wasn't clean. Great location for visiting the old Carcassonne by foot! Clean rooms and great breakfast! Because my wife has health problems, walking is very difficult for her and the bus service into Carcassonne was not viable as it does not go into the old city. Additionally restaurants were few and far between. I had no car and relied on public transport. Clearer details on your web site as to the bus number and times would be helpful. It was a long walk with a case. Staff very helpful. the staff were polite and very helpful.the room was clean and adequate for a short stay.20 minutes walk to the Citadel .the price incl.breakfast was very good for such a tourist city. Very warm welcome, clean room, good breakfast for 6.60 euros, You lock your cycle in the room, 10/15 minute walk to the Cite and into Carcassonne, only one pillow and no sink plug, excellent boulangerie across the road. Hotel room was very clean. It’s also conveniently located near a McDonald’s so I went there for breakfast instead of eating at the hotel. There are also vending machines located at the lobby. Hotel staff was very polite and tried their best to describe where the castle was located. Monsieur B., Nous vous remercions d’avoir pris le temps de nous écrire à la suite de votre séjour à ibis budget Carcassonne La Cité. Nous sommes désolés que le service et la prestation n’aient pas été à la hauteur de vos attentes, et nous vous prions d’accepter nos plus sincères excuses. De nouveau, nous vous remercions pour vos commentaires et espérons regagner votre confiance lors d’un prochain séjour. Dans l’attente de vous accueillir prochainement, nous vous prions de croire,Monsieur, en l’expression de nos sentiments les meilleurs. Room was clean and quiet. There was plenty of choice for breakfast but the room was quite crowded. I would have payed 50 euro maximum for that kind of room! The sink in plastic material, is nearby the bed and not where the Wc is situated. If you need to wash your hands after using the Wc you have to go at the opposite side of the room. The shower and Wc are located in two separated narrow plastic box, no air inside. Window very small. The floor was dirty. Madame C., Nous vous remercions d’avoir pris le temps de nous écrire à la suite de votre séjour à ibis budget Carcassonne La Cité. Nous sommes désolés que le service et la prestation n’aient pas été à la hauteur de vos attentes, et nous vous prions d’accepter nos plus sincères excuses. L'agencement et la disposition de nos chambres ne vous a pas convaincu et nous en sommes les premiers navrés. Dans l’attente de vous accueillir prochainement, nous vous prions de croire, Madam/Monsieur, en l’expression de nos sentiments les meilleurs. Positiva. Camera semplice e pulita, sufficientemente ampia.